An artist's rendering of the GreenLeaf Market and ZOOM store to be located at N. 13th Street. On the cusp of an announcement by the National Geospatial-Intelligence Agency on April 1, McKee is betting the starting gun won’t misfire. At a news conference under a white tent, he announced his latest plans Wednesday afternoon, this time for a grocery store and gas station. The GreenLeaf Market will be located at 1408 N. 13th St., not far from the Stan Musial Veterans Memorial Bridge. Right across the street, McKee said, there will be the ZOOM Store — a gas station, store and car wash.
"We expect the ZOOM Store to open by Thanksgiving and the other market to open by March 1," McKee said. The $20 million project includes about $5 million in New Market Tax Credits from the city of St. Louis. McKee said Cedar Rapids Bank and Trust is the lender for the entire project, and the USDA is guaranteeing 70 percent of the project’s loans. McKee started buying property in north St. Louis back in 2003 and got authorization from the city for nearly $400 million in tax increment financing in 2009. Two lawsuits quickly followed, both of which reached the Missouri Supreme Court and both of which were decided in McKee’s favor. None of that TIF money has been released since, as of yet, none of McKee’s promised projects have materialized. But it was McKee who pitched the federal government on north St. Louis when the NGA sought sites for a new facility. Eventually the 100-acre proposed footprint just north of Cass Avenue became one of a handful the NGA said it would consider. That location and 182 acres near Scott Air Force Base in St. Clair County now are considered the top contenders. A preliminary decision is expected from NGA director Robert Cardillo on April 1. McKee owns more than 300 parcels within the north St. Louis site. The city of St. Louis at one point threatened to include the developer in its eminent domain suit, but the two sides reached an agreement in December. Otis Williams, St. Louis Development Corporation executive director, is heading up the city's efforts to win the NGA, has said throughout that Northside Regeneration’s plans are critical. Williams said that’s even more true ahead of the NGA’s imminent announcement. "We think it’s important to show them that we will have development that will be all around [the facility]," he said, "that in the course of supporting the Choice Neighborhood Programs and all of the things happening around, we will have development done here in this area." McKee is asking to draw $2 million from the $390 million tax increment financing package the city reauthorized in 2013. The bill will likely be introduced in the Board of Aldermen next month. The GreenLeaf Market will be one of the few grocery stores in north St. Louis, if the plan comes to fruition. 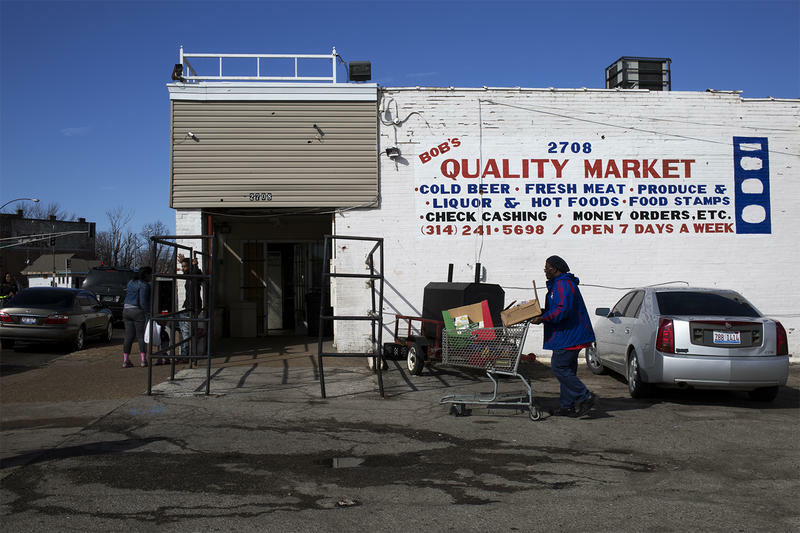 As St. Louis Public Radio reported last month, residents lobbied for a Family Dollar on North 14th Street, saying they have to leave their neighborhood in order to get basic goods. One of GreenLeaf’s investors is Diana Endicott, the founder of Good Natured Family Farms of Nevada, Mo. She said the plan is to use local farmers to bring in fresh produce, eggs, dairy and meat. "This will be a complete grocery store, but with a focus on fresh, locally grown and competitively priced food," Endicott said. The USDA Small Business Innovation Research Program is helping the group identify and map out local farmers. Endicott said they are trying to use farmers mostly within Missouri, although she said they’ll have to go further out for some products. The goal is also to keep the food affordable, she said. "Just making sure the community has a store that they feel comfortable in and that’s accessible is of major importance," she said. "The store is here to serve the community." McKee said the fresh food market will help solve the food desert problem in north St. Louis and help residents eat healthier food. That, he said, will work well with his next big project, a three-bed, urgent care facility, slated for the old Pruitt-Igoe site. An announcement on that project will be made soon, he said. St. Louis officials often cite “decades of disinvestment” in their bid to get the National Geospatial-Intelligence Agency to move to the north side. Just a few blocks away from the proposed site, Family Dollar is proposing a store on North Florissant Avenue. 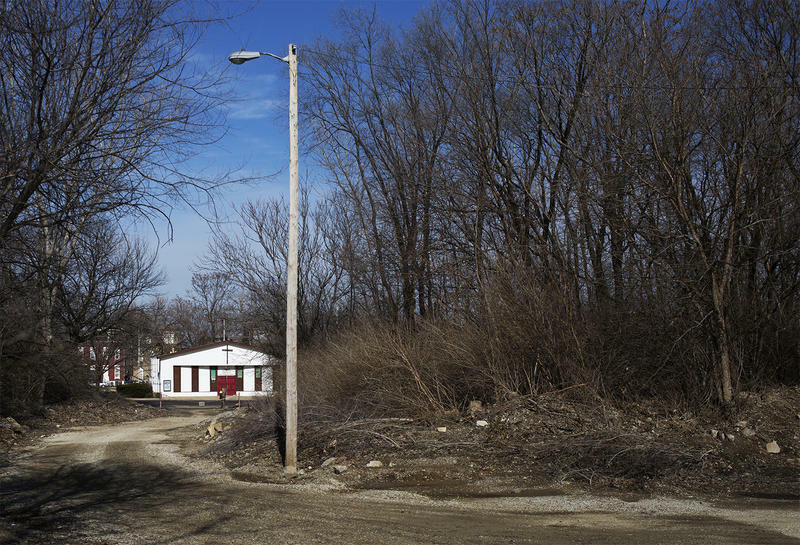 Developer Paul McKee has held a $1 million option to buy the former Pruitt-Igoe site from the city of St. Louis for three years. That option was set to expire later this month. But the city’s Land Clearance for Redevelopment Authority extended McKee’s option for the second time in three years during a closed meeting. 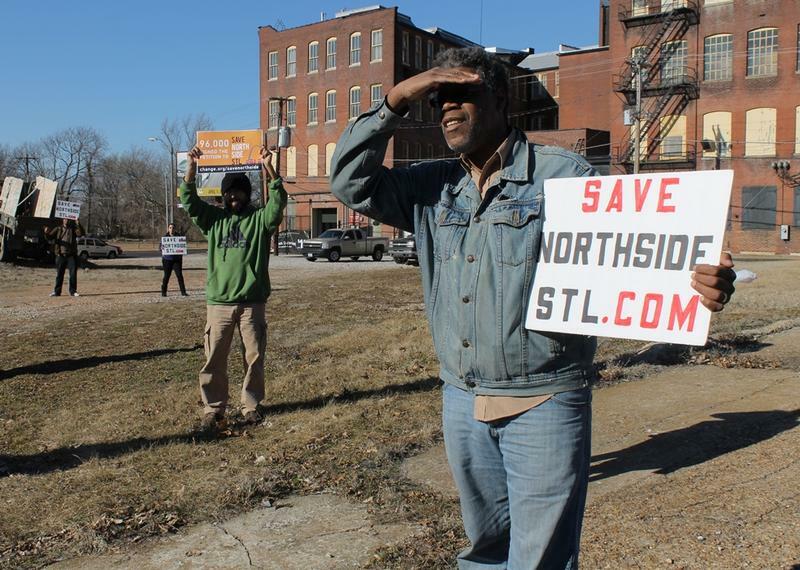 It was part of an agreement the city made with McKee to buy land he owns within the proposed site for the National Geospatial-Intelligence Agency on St. Louis’ north side. U.S. Rep. Lacy Clay, D-University City, took a House colleague and local media members for a bus tour of St. Louis’ proposed site for the National Geospatial Intelligence Agency. Just a few hours before, the city moved a sign protesting the NGA and police arrested two protesters.